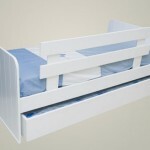 Click on the various links to order the matching Jessie underbed, the Jessie mattress and a long safety rail or short safety rail (as in the picture). 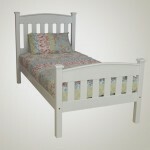 The Jessie toddler bed is ideal for rooms with limited space, or children who would just get lost in a normal size bed. Its large enough to last for years, but small enough to help children feel contained. No sharp edges and tongue and groove finish. 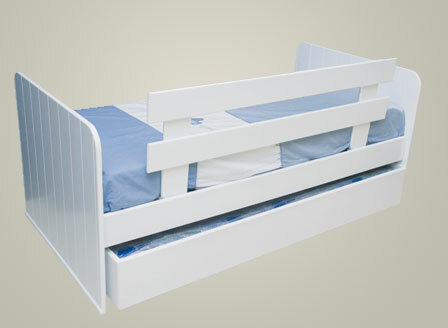 An underbed can be purchased separately that can fit a Jessie mattress, or provides further storage space. 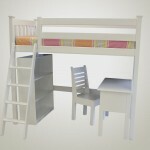 There are also custom-sized Jessie mattresses available to purchase with this bed – sold separately. 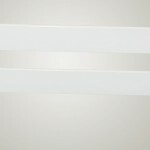 All our safety rails to stop your toddler falling out of bed at night fit the Jessie bed, slot underneath the mattress securely – sold separately. See links below to add all these additional items to your cart. 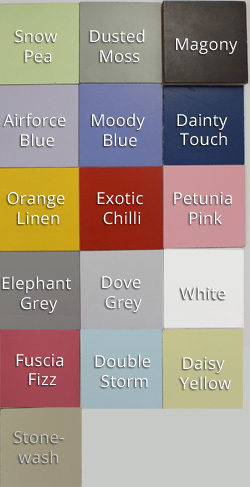 Add a Jessie mattress to your order here (fits the Jessie bed). Add a Jessie under bed to your order here. Rolls out on castors and fits neatly under the Jessie bed either as storage or as another sleeping option.